Summer is around the corner, but along with the heat, long days and thin clothes, unpleasant situations start buzzing around your head, and stings and bites are all over your body. These situations are called: mosquitoes. They are so small that can manage to infiltrate the house even if you protect your windows with all sorts of mosquito nets. The good news is that we can keep mosquitoes at a big distance with some natural remedies, and stop using chemicals for that. There are some mosquito repellent plants that can keep mosquitoes away from the garden and house. 1. Mint – because of the strong smell, a few insects can get closer, and if a mosquito dares to bite you, mint is also a natural remedy to stop the itch. In addition, you can add mint to salads, water or summer cocktails. 2. Basil – just like mint, the basil smell holds mosquitoes aside and can be used successfully in food and beverages. We really recommend using it as often as possible! 3. Lavender – the advantage of this plant is, besides that pleasant smell and the anti-stress effect, can repeal mosquitoes. It can grow in pots, on your balcony, or in the garden. And this means that mosquitoes can stay at a long distance away from your house. 4. Lime – this plant can be grown in pots, and in the garden. The smell drives mosquitoes crazy and it will keep them away from your house. 5. Marigolds – is an excellent choice to grow these flowers in the garden. These flowers also contain Pyrethrum, an ingredient found in most anti-mosquito products. Ideal is to plant them near the fence, it is very likely that mosquitoes won’t pass through this “barrier”. 6. Rosemary – another pleasant plant, which is suitable for both the apartment and the house and can be added to many dishes. 7. Garlic – of course, if you eat garlic, it won’t keep mosquitoes away, but if you plant it in your garden or in pots, it will definitely keep mosquitoes away. 8. Moonflower – this is one of my favorite flowers, because it smells so beautiful, and this smell is actually hated by mosquitoes. So, in my opinion, this is the most pleasant way to keep mosquitoes away. 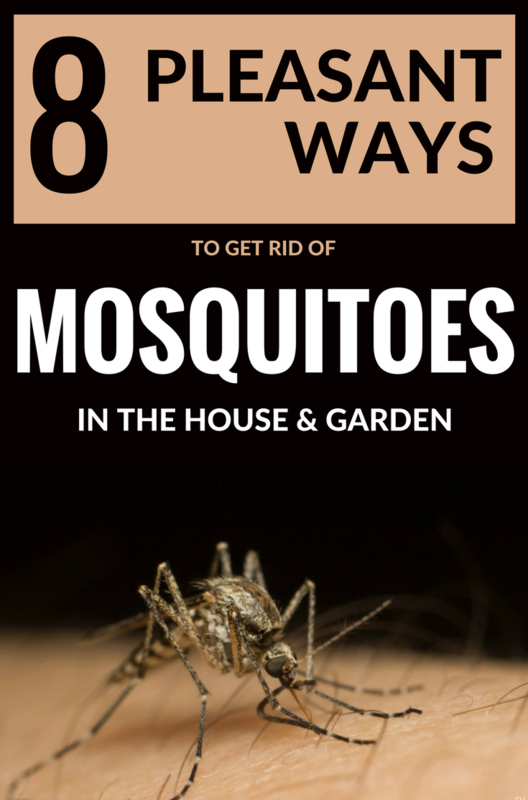 These are some anti-mosquito remedies available to anyone. Besides plants, essential oils such as mint, lavender, black pepper or lemon can be used to get rid of the insects.